The Kerlin Gallery is delighted to announce an exhibition new of paintings by Mark Francis, entitled 'Pendulum'. Francis belongs to a generation of primarily non-objective painters whose formal repertoire nevertheless draws considerable sustenance from a wide range of previously unavailable images now in general circulation due to the invention of the electron microscope as well as notable advances in telescopic technology. In Francis's case the obvious associations between microscopic images of spores and sperm and the fundamentals of creation, allied to an avid personal interest in mycology, clearly informed the paintings for which he first gained recognition in the early 1990s. The introduction of the 'grid', and its development within his painting to encompass a richly suggestive array of networks, maps, road and rail systems, established an enlivening dynamic between the notion of order and apparent disorder, between the man-made and the natural, which has been subject to periodic readjustments within Francis's practice until recently. For his new exhibition at the Kerlin Gallery Francis has created a series of large paintings that advance his obsession with scientific imagery. On this occasion it is the mesmerising, repetitive quality of 'sound wave' vibrations that provide the fascination for Francis and the challenge for his well documented technical virtuosity.Working within an almost monochromatic framework, and marrying smooth seductive surfaces with an array of agitated marks, fissures and submerged lines, Francis creates paintings that seem to be continually in motion, moving between aggression and acquiescence, flirting with awkwardness but ultimately compelling in their hypnotic liquid rhythms. Mark Francis had a highly acclaimed retrospective exhibition at Milton Keynes Gallery in 2000. He was included in the much debated exhibition of art from the Saatchi Collection 'Sensation', at the Royal Academy in London and the Brooklyn Academy in New York, and in the touring exhibition 'Absolut Vision: New British Painting in the 1990's. This is FrancisÕ fifth solo show at the Kerlin Gallery. 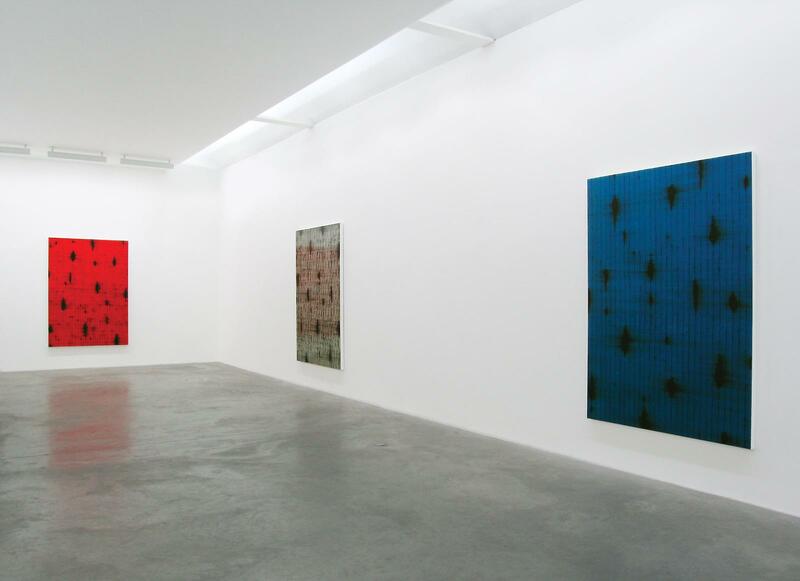 Previous shows at the Kerlin were in 2003, 2000, 1997 and 1995. Other recent solo exhibitions include Gallery Forsblom, Helsinki and Galerie Wilma Lock St. Gallen, 2005, Gallery Thomas Schulte, Berlin and Maureen Paley/Interim Art, London, 2004, Michael Kohn Gallery, Los Angeles and Gallery Anne de Villepoix, Paris 2002. He is represented in many international collections including, European Parliament, Irish Museum of Modern Art and Ulster Museum, Belfast, Tate Gallery, the Victoria and Albert Museum, the Saatchi Collection, the Metropolitan Museum, New York, the de Young Memorial Museum, San Francisco, the Museum of Modern Art Miami, Deutsche Bank and American Express.